Los Angeles, CA – October 11, 2018 – (GuitarPR) – Wilkins Custom Guitars & Finishes has announced the launch of an all new web platform designed to showcase the company’s extensive custom and OEM finishing capabilities as well as its line of custom instruments designed for working musicians. Company founder, Pat Wilkins, has been well-known in the guitar universe as a finishing guru for over 30 years with a client list that includes Eric Clapton, Jackson Browne, Robin Ford, Tom Petty, John Fogerty, Eddy Van Halen, Jimmy Haslip and so many more. The new platform highlights the many finishing services available such as custom painting, refinishing and restoration. In addition to serving a wide range of individual customers, Wilkins has enjoyed many long-term OEM relationships with outstanding instrument builders who rely on the consistently high-end Wilkins quality for commercial guitar finishes. 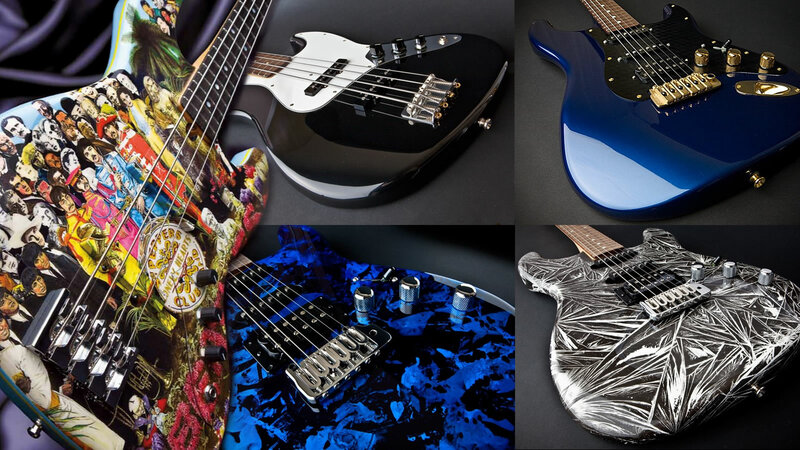 Although famous for their finishing work, Wilkins has been lesser known for a business they’ve been in for a long time: building custom basses and guitars. That’s all about to change. Wilkins RoadTested Basses and Guitars are built to the same high standards of excellence that their finishes are known for. Bodies of carefully selected alder or ash accurately cut to vintage specifications. Solid maple necks with Indian or Brazilian Rosewood, ebony or maple fingerboards. More information is available at: https://wilkinsguitars.com.